Written on February 7, 2017 . Posted in Announcements + Updates, Foundation Studies. 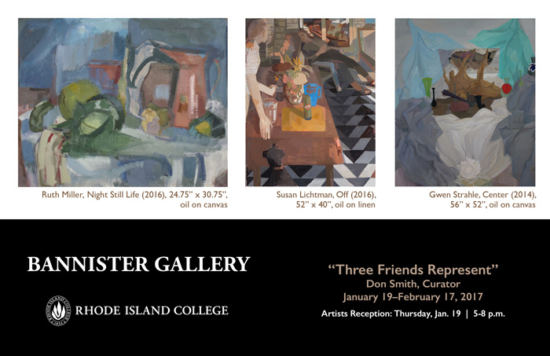 Gwen Strahle (Senior Critic, Foundation and Experimental Studies) is featured in a new group exhibition entitled, Three Friends Represent, currently on view at the Bannister Gallery at Rhode Island College (600 Mount Pleasant Avenue, Providence). Strahle is featured along with works by Susan Lichtman and Ruth Miller.